Kremandala honors Dangriga’s Buck Palacio on his passing. He played the central defender position, we used to call it “stopper” in the old days. He was one of the very best in my lifetime. Buck, Orin Orio, and Garrincha Adderley were the closest of friends, and these three made any team they played on as strong down the middle as Belize has seen. Coco was in goal, Buck in front of him, and then Garrincha in midfield in front of Buck. 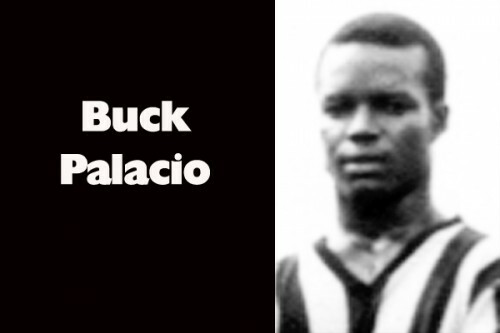 Buck Palacio was a perfect physical specimen, not an ounce of fat on him. As big as he was, he was cat quick. When I think of him, I think of Hitler Gentle, who mostly played for BEC. But I believe Buck may have been bigger than Hitler. Buck was quiet, reserved, and dignified. I got to know Coco and Garrincha on a trip to Coatzacoalcos in 1978 much better than I did Buck Palacio. I told Garrincha and Mario Gonzales this morning that all our Kremandala facilities are available for Buck to be honored. The Garifuna people of the southern districts have a legitimate complaint over the years: no matter how great a star was born down south, the impression would be that an equivalent star in Belize City would be greater. This was not always the case. It was the fact that the media were in Belize City that made it appear so. At his position, Buck Palacio was as great as there has ever been in Belize, and he may have been, arguably, the best. The media is now national in Belize. Let the word go forth, this gentleman footballer from Dangriga was an absolute icon.